Get solutions to seven common problems with duck calls thanks to this troubleshooting chart for duck hunters. My duck hunting formative years were the early 1970s. Back then, my Old Man carried a black OLT D-2 duck call, at that time as traditional an instrument as one might carry afield. The call, to the best of my knowledge, never left the chest pocket of his brown canvas hunting coat, attached to the wide wale corduroy collar with a worn piece of rawhide leather and a big safety pin. I mean it — it never left his pocket. Truth is, I can’t honestly remember hearing the Old Man blow the call, yet there it was on every hunt. At the end of the season, he’d hang the OLT up by the rawhide strap, and there it would remain until mid-October of the next year. Needless to say, the maintenance required to keep the Old Man’s call in working order was minimal — actually, non-existent. But that isn’t the case with every duck hunter’s call. Here’s how to keep your duck call looking and sounding as it should. Iowa’s Doug Hess is a waterfowler’s waterfowler. A mild-mannered lawn care service owner by day, Hess can be found hard at work at his true passion: duck calling. Eventually, Hess turned his love of duck-speak into a business and started River Mallard Calls. His company offers a full line of wood, acrylic and polycarbonate duck, goose and crow calls, all of which are true works of art, both visually and aurally. A talented craftsman, Hess is a stickler for perfection and performance. As such, constant maintenance plays a key role. Think back to the last time you bought a new lawnmower, weed-eater, or anything really. Chances are, it came with instructions, and there’s a good chance those instructions included a Troubleshooting Chart — a list of problems, possible causes, and potential solutions. “Is there fuel in the fuel tank?” or “Is the appliance plugged into a live electrical outlet?” You know what I’m talking about. That in mind, let’s take a look at what might be the world’s first duck call troubleshooting chart. Too elementary? Don’t laugh. These call-makers see it all the time. Call makes no sound at all. Explanation(s): Cork and wedge are absent; reed is locked in place. Solution: “We need to check and make sure the reed and wedge are in there,” says Hess. “If they’re there, we need to take the call apart and see if there isn’t something wedged underneath the reed that’s preventing it from moving. The call doesn’t sound right. Explanation(s): Cork has gotten loose or taken a set. Call has been tuned incorrectly by the end-user. As Hess explains, true cork can take a set and get loose, or even deteriorate over time, and both can cause the call to change in pitch or tone as the reed gets sloppy. Rubber wedges, too, can be affected by use, time, heat and other variables. Corks are easy to change and inexpensive. There’s no reason not to change them. If we have a tuning issue, the call simply needs to be tuned. We’ll get to that in a moment. Call plays, but unexpectedly stops in mid-use. Explanation(s): Foreign object wedged between reed and tone board. Condensation or moisture in call has frozen, or wet reed sticks to tone board. Blowing backwards or via the insert end into the call can help dislodge any foreign material too. Water-related problems — ice or excessive moisture — can be solved by warming followed by drying. Again, blowing backwards through the call can help. Explanation(s): The reed’s not well. Cork breaks, chips or gets sloppy. Tone of call changes. Explanation(s): The cork’s getting up in years. Solution: “Replace the cork,” says Hess. “You go back to the guy who made your call, unless you’re confident you can do it yourself. You’re going to need a rubberized cork. And again, the guy who made your call is going to be able to help you here. A lot of call-makers, especially those making the higher-end calls, will include an extra set or two, reeds and corks. NOTE: Hess emphasized this point many times throughout our discussion. 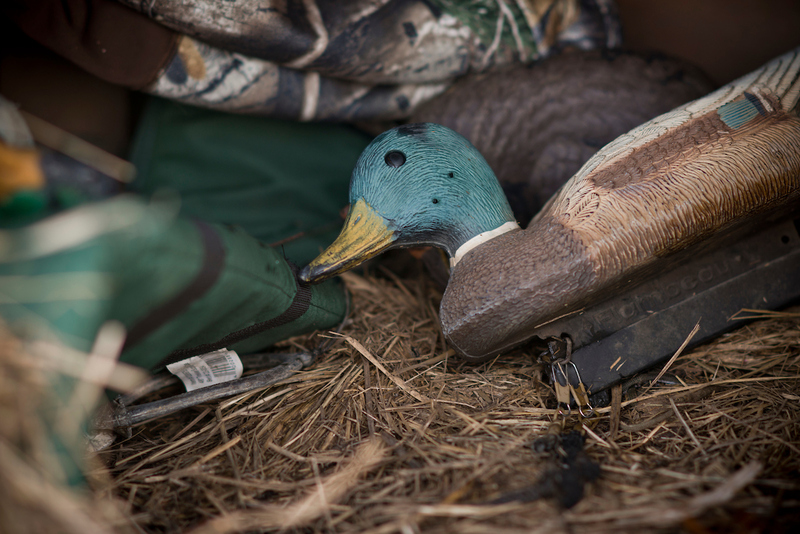 That is, if you have any concerns at all about the way your duck call performs or if you believe it to be in need of repair, you’re never wrong to first contact the manufacturer. Acrylic or polycarbonate call body cracks, chips or gets scratched. Scratches and scuffs on acrylic or polycarbonate calls are generally aesthetic only, and don’t affect the sound of the call. Wooden call splits or cracks. Finish starts to wear. Explanation(s): The wood has remained wet for a length of time, swelled and split. Or, a wet call was dried too quickly, e.g. near a radiator or heat source.